Welcome to the CDER Small Business and Industry Assistance Podcast Series. Today’s topic is the FAERS Public Dashboard and its Value to the Pharmaceutical Industry. The FDA has made strides in improving transparency and data access, and has implemented tools to allow the pharmaceutical industry and the public to transform raw data into usable information. It's been eight months since FDA launched one of these tools--the FDA Adverse Event Reporting System, or FAERS, Public Dashboard. In this podcast, the architects of the FAERS Public Dashboard – Deputy Director of the Regulatory Science Staff Suranjan De, and Acting Team Lead in Regulatory Science Information Sanjay Sahoo—both from CDER’s Office of Surveillance and Epidemiology, will discuss their work with this new online tool. Q:Suranjan and Sanjay, tell us, what is the FAERS Public Dashboard? Sanjay Sahoo: So, before we start, just to let you know what FAERS is, FAERS is the FDA Adverse Event Reporting System. FAERS is a database that contains adverse event reports, medication error reports and product quality complaints resulting in adverse events that were submitted to FDA regarding drugs and therapeutic biologics. These reports are submitted voluntarily by the public via the MedWatch Program, and are required to be submitted by the pharmaceutical industry, as per the FDA guidelines and the regulations. The FAERS Public Dashboard is specifically designed for the public to access and view the FAERS data in a customizable way, and in a searchable format. So, it’s a easy access for the public in order to do their searches for the drugs they are taking, and they can get information quickly. So, it allows users to view the summary of the adverse event reports received from 1968 to the present or for a specific timeframe – they can able to filter those searches. It is much more designed for the public use, and it is open for the public around the world. Suranjan De: Yeah, I think along with the public, I think we’ve come about talking to you more also about how the pharmaceutical industry or the sponsors could use this data. And as you know, since it is a site which can be, kind of used where people can just go and do a search with so many different criterias. So, that kind of makes it a little more intuitive. And then we’ll still talk about some things about how you can get the data, if you want to use the data. So, as we go through our talk, you will actually hear about the usefulness of this, both from the consumer, or the health care professional who wants to use this data, but also the pharmaceutical industry, who want to then search and use this data. Q: How is the FAERS Public Dashboard different from the FAERS Quarterly Data Extract Files, OpenFDA and Freedom of Information Act, or FOIA requests? Suranjan De: Alright, so there are three actually - ways to access the FAERS data. Method 1, is the FAERS Public Dashboard. So, if you look at the FAERS Public Dashboard, it’s more interactive tool. Basically, because it’s interactive, now you have the features to do some frequency counts, you are able to see a summarized view of a chart or a table. Basically, you don’t really have to manipulate the data to get to some answer. The tool actually provides you these features to directly filter the data, and to view the results out of it–so it aggregates the information, versus, you have the FAERS Quarterly Data Extract. So, as it sounds, data extract, they are data files, right? And they come in two forms, I would say. One is an ASCII-based form, and then one is an XML-based form. These data sets are posted quarterly, as the FAERS Public Dashboard is also posted quarterly. The difference here is these are data files – somebody has to download it, and build a database out of it. And then put a tool over it to see data as we see on the Public Dashboard. So, you see the difference here, how it differentiates. And finally, the OpenFDA is another method of extracting the data, and it has a whole different format, which they call the JSON format. The time frame of this data is still the same, except that you have now another format by which you can see the data. The OpenFDA also gives you some little feature to filter your data, to add some criterias, and it is more an API based, where somebody can give a call and extract the data. That’s where the differences between these three data sets are. Sanjay Sahoo: Just to add to what Suranjan just mentioned, the other way to get to the data is called FOIA request, Freedom of Information Act, which give the public to make a request, the search they have made, through these different data sources, they find in the Public Dashboard. So, if they identify some of the adverse events with the case numbers, users can note down those case numbers and make a request to the FOIA Office to get details about those adverse event. So, that’s the way – these are the different outlets to get to the FAERS data. Q: How current are the data in the FAERS Public Dashboard? Sanjay Sahoo: We did a upgrade to our, data, this month. So, the data is from 1968 to 31st March, 2018. So, the 31st March 2018 is the first quarter of 2018 data. So, you have access through the system for the FAERS Public Dashboard the entire 1968 through 31st March 2018. But in case of the quarterly data extract, so as the data files are posted, I think, correct me if I’m wrong Suranjan, I think it is from 2004 till 31st March, 2018. And recently, another thing we did is, it is much more public to know about this, is we did a data sync-up of the date – March 31st 2018 – so it is exactly the same date. The FAERS Public Dashboard represents the same data time frame, Open FDA, and the Quarterly Data Extract. Suranjan De: And just to add to that, previously, what used to happen is that typically we used to have about 6 months of a gap between the data we used to post on the Quarterly Data Extract. So, the idea is that moving forward, we want to close that gap, and more data is available quicker sooner. The idea would be that we would post the data for let’s say the first quarter, which is January through March, by end of April. And then when we have April to June, by end of July. And so on. So, that what is does, is you get the data more recent, and then, the public as well as the industry is able to utilize the data sooner, and not have a lag. Q: Well just how many reports does the FAERS Public Dashboard contain? Suranjan De: The database itself has a little more about 15 million reports, and from 1968 to current May 31st 2018. And we are receiving close to about 1.8 million reports per year. And this number of 1.8 million was something which we did some analysis, which was for 2017. We have a growth rate of almost about 15%. So, with that, we’re expecting that by end of 2018 we would probably hit about close to 1.9 to 2 million. So, that’s the volume at which we’re getting the data in. Q: Is it possible to download or export data from the FAERS Public Dashboard? Sanjay Sahoo: The answer is yes. Currently, the user can able to download the data to Excel spreadsheet. And as everyone knows about, Excel has its own limitations, how much maximum volume of the data they can download to that Excel spreadsheet. So, we kept a limitation of 100,000 lines of line listing of data they can able to download to Excel. Also, every component in that Dashboard, like if it’s an image, or it’s a graph, or it’s a table – they can do a right click on that in the mouse, and able to download to an image file or to a PDF file or to an Excel spreadsheet. So now it is much more flexible, and it’s easy to our public users able to get the data to their disk space. Suranjan De: In fact, to add to that, one other big reason why we have limited that is also, because this is a public site, you will have many many many people hitting the website every day, every hour. And if people start downloading data, in huge bulk, you know that may cause a huge issue with our performance of the tool, and we may, you know, face some big technical challenges. One good way, just a suggestion, for people to download data, is, especially where we have the line listing of reports, there are a lot of filter conditions given there. You can apply different kinds of filter conditions maybe from Year 1 to Year 2, or Year 1 to Year 3, or Year 1 to Year 3 and for a particular type of reaction. You can apply many of these conditions, and can filter out the data, which will get you a number which is below 100,000, and then you can then export the data out from the tool. So, some of these tips and tricks are important to know, and once you start playing with it, and you start using it, you will become familiar with that, and data export is just a piece of cake. Q: Can the user conduct reverse searches, such as searching by adverse event rather than by drug? Suranjan De: Yes, so this is a new feature which was added very recently. When we released the first time, you could only search on a single product. Just one product, and you do the search. The recent release has two major changes. One, you can search now by multiple products, up to five. And again you have to remember, based on the performance of the tool, there is a limitation we have set to five products at a time. So you can either search by product, or by reactions. If you search by product, you have a limit of five products at the same time. If you do by reactions, you again have a limit of five reactions. Now this feature of searching by reaction was never there, and that was some request we had got from the feedback we had received from people using this site. So yes, we now have the reverse searches, where you can now search by adverse event, rather than by the drugs. Sanjay Sahoo: Just to add what Suranjan mentioned, this is much more user friendly, even if you selected five products, and you can able to deselect the one of two products if you accidentally add to your list. So, when you play around, it’s just a click of the mouse button. So you select, deselect, and then run the search. Also, we have added a Go button in our search, which was not there before, and that Go button will take directly to the results sets, and when you are in the results sets, let’s say you have added three products, initially you searched, and you would like to add another product – in the right-hand side, on the top also, you can able to add another product to the list, and search again. Q: So, I know you’ve talked a little about it, but can you describe some of the limitations of the FAERS Public Dashboard? Sanjay Sahoo: So, just saying that, you know, it is as the FAERS Public Dashboard is an extremely valuable tool for the public, to use it, but every tool has its own limitations, both with the data set, both with the technology, and with many ways. But one of those limitations which I can talk about is the current design doesn’t support searching on more than five products, which I just mentioned before, or five generic names, or five reactions. So, that’s a limitation at this moment to limit the search results to make it to 100,000. But eventually we are working to remove that limitation in the future. The second one I can talk about, the current design doesn’t support a search using both a drug or a specific event. That means if a drug, Tylenol, plus fever. You can only search by drugs, or by the adverse event. Suranjan De: Some more additional things which we have is, you have to remember there are certain limitations of this data itself. One is the limitations of the tool. One is the limitation of the data which is displayed in this tool. So, you have to remember that information of this report reflects only the reporter’s observation and opinion. This is what the reporter said, this is what we got. That is what we are presenting there. And they have not been medically confirmed. And there is no certainty that the specified drug caused the reaction. That’s very important to know, okay. Third thing, the narrative of the story, or the narrative of a particular report is not presented in this dashboard. There’s a lot of insider information, or important information, which is in these narratives. And the reason why we don’t post the narratives is because of personal identifiable information. Based on what we post and the redacted data which we post, you cannot make a decision on, hey this drug caused this event, or that drug caused that event. No, that cannot be done. So, the causal relationship cannot be directly established by just looking at the data which is in the Public Dashboard. Another thing is that many times we have data which is, the cases or reports are duplicate. Now how can we say the report is duplicate? Let’s say a patient reports directly to FDA, which comes as a voluntary report. The patient also reports to the doctor about this. The doctor sends a report to FDA. The doctor also reports to the industry, or to the pharmaceutical company. They also send a report to us. Now you see, on the same patient, we have got three reports in our system. Now, as I said at start, that these reports reflect only the reporter’s observation and opinion. That’s why all these three reports are put on the Dashboard. So, it’s very important to know, yes there will be duplicates. And the last and important thing, is that when a consumer sends a report, there may be a lot of information which is incomplete, versus a report which is sent from the pharmaceutical company – they may have done their due diligence, they may have talked to the reporter, they may have talked to the consumer or the patient and got more information. Versus, consumer sending us may have very limited information in there. So these are some of the important key points we need to consider before taking any decisions on a particular product, or the reports which are in the FAERS Public Dashboard. Q: Eventually, will there be an analysis of the adverse reports to determine causality? Sanjay Sahoo: The answer is no. As Suranjan just mentioned about limitations of this Dashboard, and the data is included in the Dashboard in a redacted format, at the case level. So, what you are going to see is mostly the aggregated data set, and the line listing of few data points, which is already redacted and published in the Quarterly Data Extract. Suranjan De: So, another important thing to note is the FAERS data cannot, very important, cannot be used to calculate the incidence of an adverse event or a medication error. That’s another important point to consider and to keep a note of. And very often these adverse event reports – when they come in they don’t have a denominator. So, you just can’t say hey, I see, you know, five hospitalized reports – yeah, against what? We don’t know if there was 5,000 prescriptions given out or 50,000 prescriptions given out. So, as you don’t have denominators for this, you just can’t do incidence rates by looking at the FAERS Public Dashboard. Q: Are there future plans to verify reports or to de-duplicate reports? Sanjay Sahoo: As we receive the report as is from the public, consumers or health care professionals or from the industry, and we publish that information for the transparency purpose to public as the way we received it. Suranjan De: So, adding to that, de-duplication, it’s a whole science, which has to be done from our internal review perspective, yes, some level of de-duplication is done. And this should not misconception, we do not do any de-duplication. Some level of de-duplication is done, but for the public data, as I said, we post the data as it has come. Now, one last important thing about this is sometimes, when company sends a report, they realize it is not their product. Once they realize it is not their product, they want to nullify that report, or they want to remove that report from our database, because it’s not their responsibility. And they may have sent that report to the company who is responsible for that product. Now it’ll be the other company’s responsibility. So they want to nullify their case, with the assumption that the other company is going to submit their new case into our FAERS. So when cases are nullified, it’s important also to know that the FAERS Public Dashboard, in the next coming quarter, will not have that case. But today what happens with Quarterly Data Extract – because it's data which you have downloaded and created your own database, you do not have the information that this case was nullified. Because you’ll go to the next quarter and the next quarter – in those quarters, these cases won’t be there. Because, for two reasons. One is either the case got nullified, or, if there was no update to an existing case, okay it will not show up in the next quarter. So you don’t the case was nullified or if there was no information. The case still stays in your database which you have built, right? Now if, for those, you want to try to compare your own database with the FAERS Public Dashboard, you will see a difference. And that’s very important to note, we have got questions about these, saying that the FAERS Quarterly Data Extract, the number of cases there does not match with the number of cases for a product which a user searches in the FAERS Public Dashboard. And one of the biggest reasons is because of case nullification. Q: So, gentlemen, can you tell me, what type of feedback has FDA received from the pharmaceutical industry representatives on how they are using the FAERS Public Dashboard data, or how they anticipate it may help them in the drug development process? Suranjan De: Alright so now, anybody can run real-time queries, and search with their own data filters, and put their own specification and get a result out. Right? So this is useful for the pharmaceutical industry. And how? They can run a query on their drug, and get some frequency counts. They can run a query by saying hey, let me look at this drug, or let me look at this report type, or let me look at this reporter. Which from where most of these reports are coming from, which region, and what kind of reports are – how many reports are serious reports, versus non-serious reports. When was this reported? What kind of demographic is reporting this? And many more. So now they have all these criterias they can apply to get the reports they are most interested in, and export this out – because now you have an export feature right? So, this data is useful for the analysis of adverse events, for what? For broad patient populations, because now you have elderly, children, pregnant women, and so on; events with rare background rates and low frequencies; events that occur shortly after exposure; detection of adverse events not seen in clinical trials; and then identification of reporting trends, because now you can see, by year, so you can see what the reporting trends are for the product, especially when the product is newly launched in the market, so they can see this data and the trends. And then see which population is at more risk, because now you can see by gender, you can see by demographic, you can see by age group, and so on so forth. Then, also look at the clinically significant emerging safety concerns. These are some of these key things which pharmaceutical companies can actually use this data to see. Of course, most important, this data does not give you the causal relationship. Sanjay Sahoo: So, that’s great Suranjan. So just to add more to what Suranjan just mentioned, industry is really finding this FAERS Public Dashboard is valuable to them, helping them identify gaps in reporting in the sense. One example is the report which the consumer is sending to the FDA directly. They do not have access to that. So the information they do not have access to, some of the companies, they are enrolled to a program called MMP – Manufacturer to MedWatch Program. Through those program, they are able to access to those type of direct reports. They can request for, but they cannot identify previously that which reports are direct reports, and which reports, for our products, you need to have access to. So, with this FAERS Public Dashboard, it made it so easy to see those reports which is submitted to FDA directly, and they can request through our FOIA Program or through MMP Program, to get access to the details. So, that’s really a great advantage for the sponsors to remove those gaps, which was previously through the Quarterly Data Extract. Suranjan De: And finally, as we know, the FAERS Public Dashboard, the whole purpose was what? Transparency, right? And transparency and safety data analysis tools are essential for helping industry detect and analyze details of safety signals, and that’s what the FAERS Public Dashboard gives you. So the data which is available there is a source for the pharmaceutical industry to probably identify and look at maybe a potential signal, and look at data which they may not have. And last, to reconcile the reports they have already submitted to know, hey did I submit my report? Do I see my report in the FAERS Public Dashboard? And if they see the report they can reconcile to say hey, it was submitted and I see this report. Q: Here’s my last question: have you received any industry feedback regarding the changes to the database? 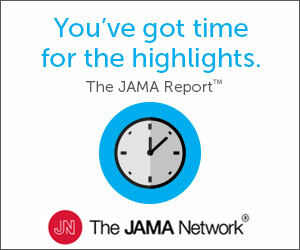 Suranjan De: Oh, yes, the few changes we mentioned – first, searching by adverse event – that was a feedback which we got. Also, we have received feedback about some ways how we can make this data more useful for consumers, so that people do not look at this data and have a misconception about this data. Or look at some data points in this data, and change their pattern of medications they’re taking. What’s most important thing which I did not mention that I would like to mention here; it’s very important that the patients go back to their health care professional once they see something on this website. And just not harshly take a decision about the medication which they are taking. And finally, our website itself, which is our FAERS Public Dashboard itself, has got a feedback link. Sanjay Sahoo: And just to add what Suranjan mentioned, it is very critical, the other aspect which I wanted to mention about technology upgrades, so we are constantly looking into technology upgrade, to make it more user friendly, performance-wise improve. Also, how sustainable it is going forward down the line another 20-25 years, and make it robust so that our public is able to get access to the information quickly, and through their handheld device, through their laptops. Anywhere in the world they go, they should be able to access that information. So, we’ll keep constantly looking into technology upgrades. Suranjan De: Also there are many ways to access this website. One way of accessing this website is going into the drug safety drop down bar at www.fda.gov/cdersbia. And if you have any questions, view the FAQs section. There is a good FAQ section now. 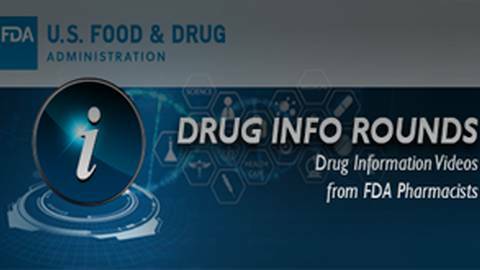 They have been nicely organized and grouped, where its talks about technical questions versus general questions, and you can also reach out to CDER Small Business and Industry Assistance at CDERSBIA@fda.hhs.gov. A link to the SBIA Chronicles, and more information about CDER’s SBIA Program may be found at www.fda.gov/cdersbia. Thanks for tuning in. Hear the architects of the FAERS Public Dashboard share how this online tool is helping consumers transform raw data into usable information. The FDA has made strides in improving transparency and data access, and has implemented tools to allow the pharmaceutical industry and the public to transform raw data into usable information. One of these tools is called the FDA Adverse Event Reporting System (FAERS) Public Dashboard. In this episode, the architects of the FAERS Public Dashboard – Deputy Director of the Regulatory Science Staff Suranjan De, and Acting Team Lead in Regulatory Science Information Sanjay Sahoo—both of CDER’s Office of Surveillance and Epidemiology, highlight their work with this new online tool.